I’ve never had a necklace that had my initials on it and finally I have one. So, I’m really excited to share why I love this really cute initial necklace I received from LucidNewYork.com. 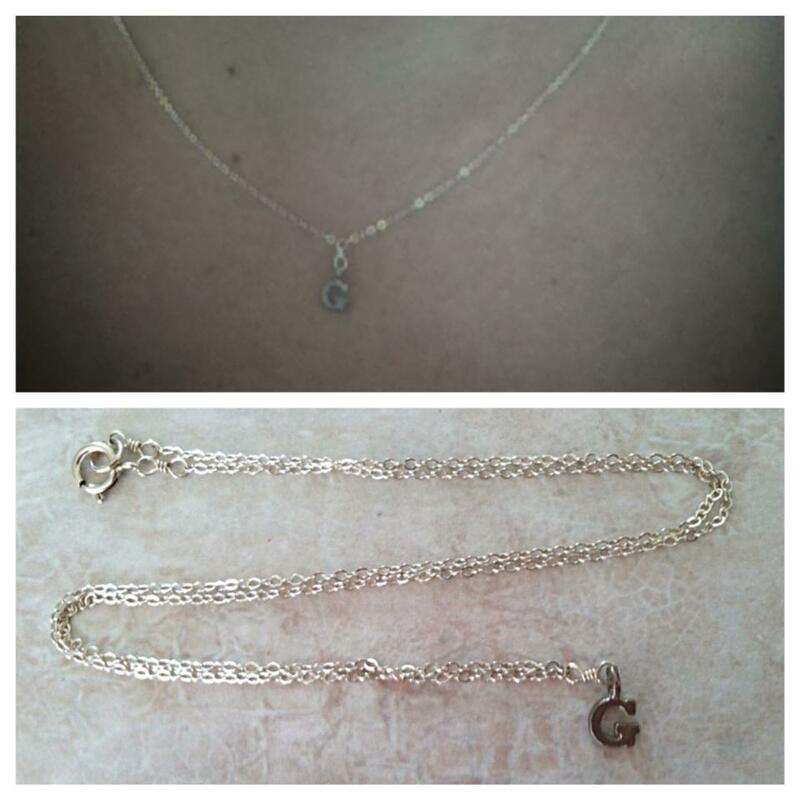 This necklace has a 16 inch of chain and a 1/2 inch of sterling silver initial and I so really love it! It fits perfect on me and I get a lot of compliments when I’m wearing this cute necklace. For me it’s always nice to have a nice Initial Necklace you wear and I just felt so good having something unique to wear whenever I want. Actually, you can choose either the gold or sterling silver design. I always love the look of sterling silver, so I picked that one. And guess what? There’s another G in my family and that’s my daughter, so she can wear this one when she gets older and she told me that she really loves it, too. Perfect isn’t it? Because all of my jewelry will be hers someday! Anyway, if you want this really cool necklace, check out this place, visit them on Facebook and Twitter to see all their great jewelry they offer at very affordable prices. You will be amazed with their huge selection as well as the style and uniqueness of what you see.